And this is just ONE of Beverly Cleary’s characters! Are you seeing this, Abigail? At the time I got the idea for Queen Abigail the Wise, I had never written a children’s book (or any other kind of book). So it was rather foolish to just jump right in, but the Queen Abigail idea was such a grabber to me that I had to go for it. When I realized that I would have to spin up and give myself an education overnight, there were two authors for children I re-read avidly and earnestly, trying to grab as much of the magic out of their styles as I could. One was Madeleine L’Engle (who I gushed about back HERE), and the other is the woman who is exploding all over the internet today because this is her 100th birthday(!) 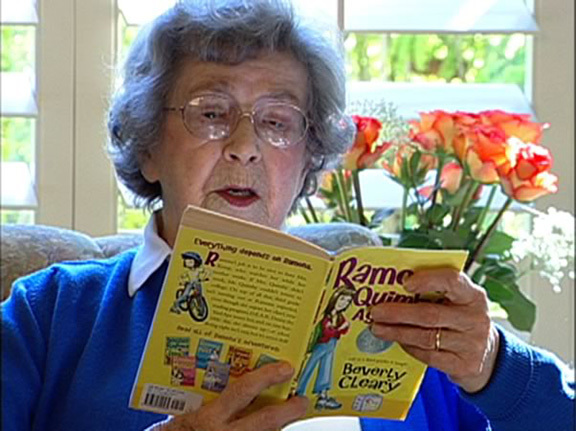 — Beverly Cleary. Having made it to such an auspicious birthday, the author of Beezus and Ramona, Ellen Tebbits and dozens more children’s classics already has gifted writers singing her praises today — HERE and HERE and HERE, just for a few examples. I won’t try to improve on any of beautifully articulated praises of these wordsmiths. But it wouldn’t have seemed right not to offer my own thanks to Ms. Cleary for her gift, both to Grace as a child reader and Grace as an adult writer. You can, in fact, write books for children that don’t rely on talking animals or magical beings. This is not at all to take away from those books, because that sub-genre includes everything from Alice in Wonderland to Harry Potter. But the story I wanted to tell took place in the regular world, and it was very comforting to know that it was at least possible. Cleary’s Ramona and Henry and Ellen were real kids that lived in a real place. They weren’t going to encounter unicorns or witches. But they had problems like mine, and reading how they solved them was every bit the page-turner for me as any fantasy book. The ordinary world can be really extraordinary ... Not to mention dramatic, hilarious, frightening, inspiring. You can forget when you grow up that things that seem like trivial matters from an adult perspective — a book report, how a friend treated you, whether you were invited to a party — are major events to a child. 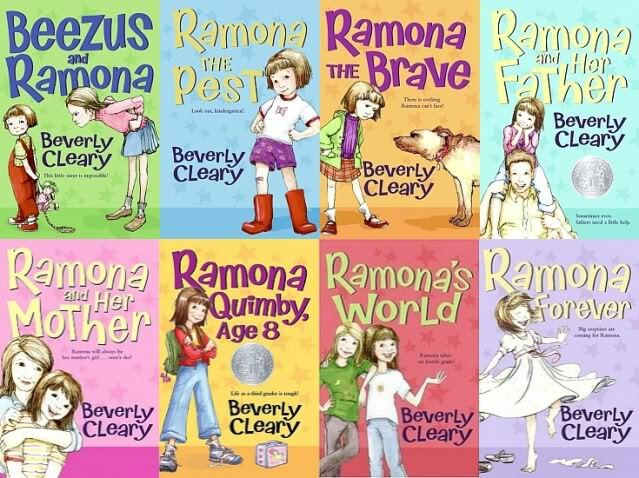 I wanted to know how Ramona was going to fit in in school or get along with her sister, because Ms. Cleary seemed to understand how important those things really were. Yes, parents actually exist. I don’t know why it is — some psychologist could try to tell me — but even in really masterful children’s fiction, the parents or adult authority figures are either missing, incredibly negligent or just plain wicked — think everything from Peter Pan to The Lion, the Witch and the Wardrobe. When I picked up Cleary books again, I was relieved to find that parents have their own part in the action. They help with problems, field questions, make jokes and generally exist. And they are referred to by their last names. Not because they’re stiff and formal, but to show that they’re grown-ups and to give them a natural amount of respect. Thank you for that, Ms. Cleary! Those are just a few things that come to me right now. If I stopped to think about it more, I’m sure I could come up with more. And it’s likely I will — now that I have re-discovered Beverly Cleary’s books, I’m likely to keep reading them. So maybe by the time I have my 100th birthday, I’ll have a better list. Be sure to check back then, won’t you?